Low Places—the slowest band? Maybe. The fastest? Maybe, as well. The most soul crushingly devastating—yeah. After some recent controversy involving their music, live performances, and art, as well as all around intensity, Low Places have a home for another night at Metal Monday V. Metal has been coming back recently, and seeing as how I was an angry high school kid devoted to sludge and all that is unholy, I am glad that the time has come for the return of darkness and evil, while under the sign of the black mark. Your fiends in Low Places. Oh and by the way, these guys are not a High Places tribute band. For starters, can you tell us who the active cultists in Low Places are? Five worshipers of the Cult of Goliath. I’ve heard about a near legendary equipment failure, which ended up in twin droning feedbacking guitars, and singing in a bass drum while pounding a mic into the bass drum while being kicked, have you had any other experiences like this, or thought about some more free form experiments? Most of what happens at our live ritual is on the spot experimentation. This is just a reflection of our chaotic personas and our frustrations with living in a world of false idols and falsehoods. Despite calls to turn down our volume or reduce feedback or take care of microphones, we will never tone down our performance. Each live ritual is an experience to be taken without compromise. We’ve also experimented with noise before, and will continue to push the envelope. Low Places is the sound and soundtrack to constant pain and death, are there any particularly stand out moments you’d like to share? All I will say is that violence is a part of our live ritual, and pain is what we preach. 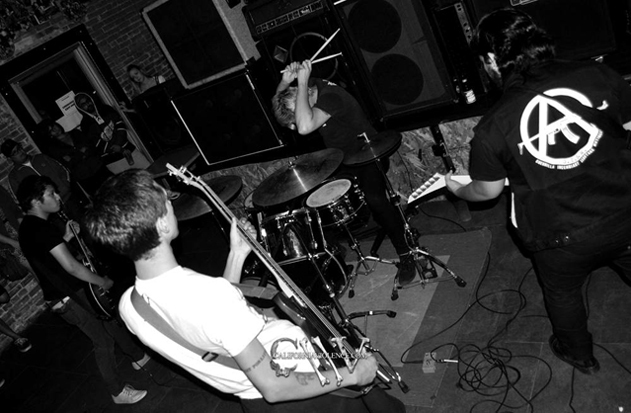 As far as I know, there really isn’t a place for metal, every once in a while a heavy band will infiltrate a punk show or a noise set, But there are rarely any predominantly underground level shows. Has there been any prejudice against Low Places, or any other band for your preferred genre that you play. We bring fear back into punk, and that definitely scares people from giving us a place to play. We’ve had shows shut down last minute as a result of our message of terrorism. As stated before we will never compromise in the face of the enemy. That enemy is mediocrity, false sincerity and posers. Is there anything we can expect from Low Places tonight? A night of anarchy and violence. Are there any other bands that you meet your Kvlt quota you’d like to mention? Listen to Seven Sisters of Sleep, Nasa Space Universe, Full of Hell, Francis Harold and the Holograms and Sutekh Hexen. And lastly is there anything you’d like to say ? Face the goat in the mirror, as once they gazed upon the hillside searching for memories. Eyes burn like an October sunrise only seen by kings upon their thrones, in the shadow of the horns. 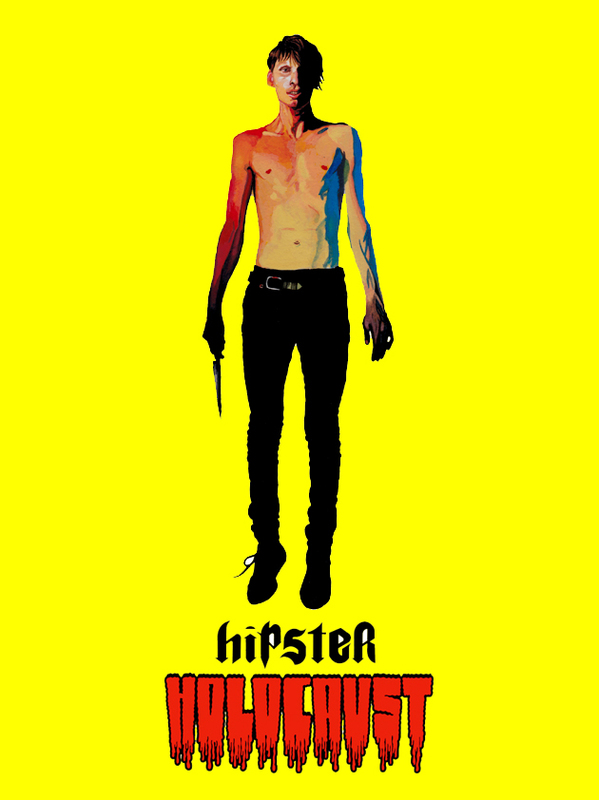 "What happens when a deranged young man living in a hipster-infested LA neighborhood is pushed too far?" Plus: Ace Diamond introducing all the bands!